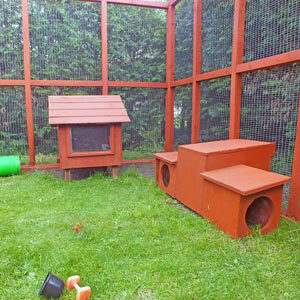 Getting the right environment for your rabbits is vital. Our recommendations are based on research, where it exists. 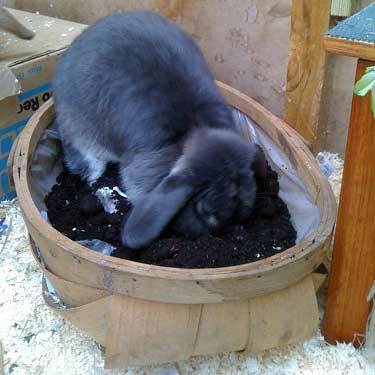 One thing that all welfare organisations agree on is that A Hutch Is Not Enough. We recommend a minimum area of 10ft x 6ft x 3ft high (3m x 2m x 1m) for a pair of average sized rabbits, regardless if they live indoors or outside. 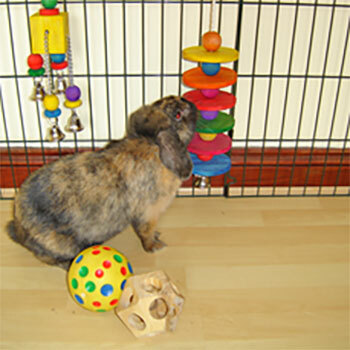 This is all the good stuff that rabbits need to be able to do in order to act like rabbits: tunnels, toys, digging trays – the more you put in, the more you’ll be rewarded with contented bunnies. 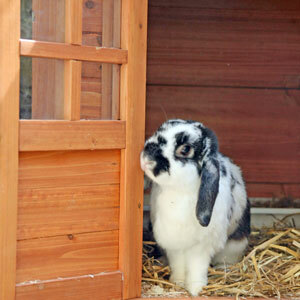 Sharing your home with rabbits can be a wonderful experience but it’s not something to be taken lightly. See what’s involved and then consider carefully! Rabbits can be perfectly happy living in the garden just so long as their physical and behavioural needs are catered for. Their accommodation must allow them to do many things and feel safe from predators. Our pets should not be battery animals. Quite simply keeping a rabbit alone in a hutch without the opportunity to exercise, display normal behaviour or without companionship is not acceptable.